Flexor synovectomy may be indicated for infectious, rheumatic, or nonspecific proliferative tenosynovitis. It requires meticulous and extensive dissection. There are a variety of surgical exposure techniques, which should be planned in an extensile fashion. 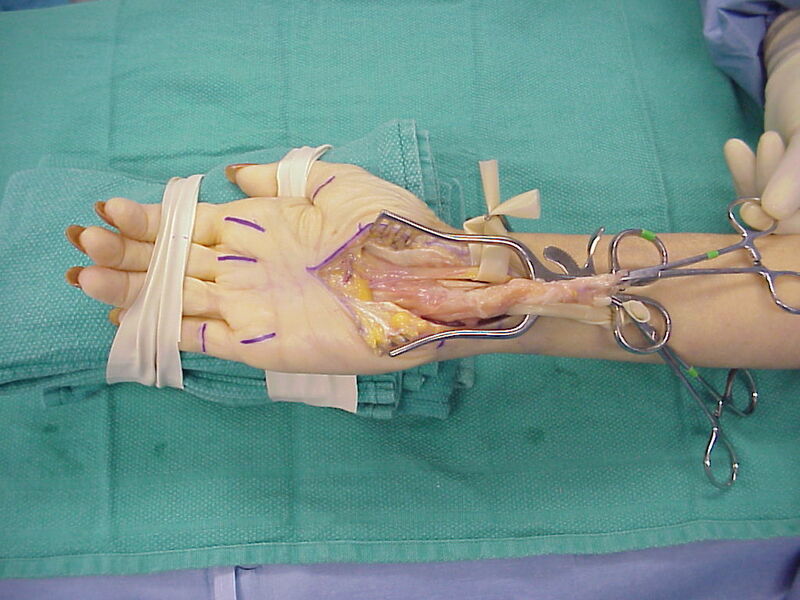 This case demonstrates an exposure technique intended to minimize the extent of fillet, while allowing adequate access to the flexor tendons from forearm through all fingers. 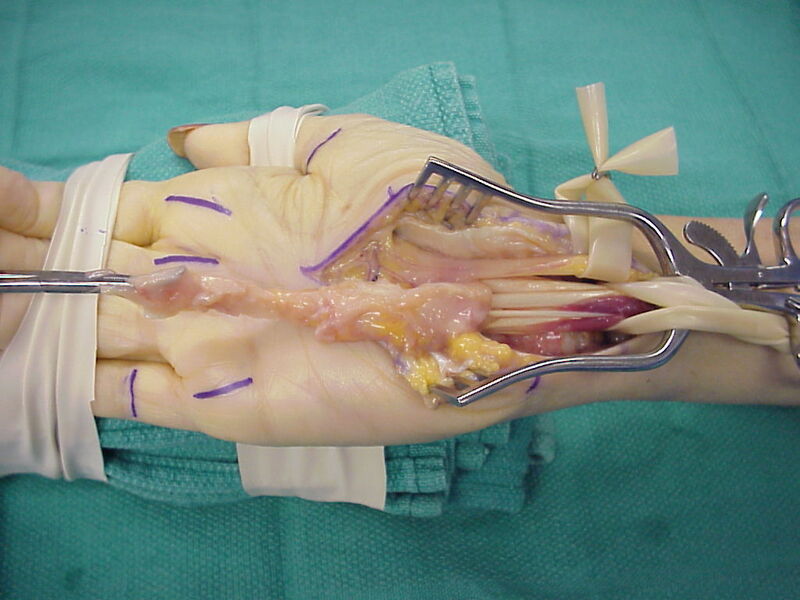 The patient had ring finger flexor tendinitis operated on elsewhere, and at surgery was found to have an unusual degree of local synovial reaction. She had a complete synovectomy of the ring finger, and pathology report was inconclusive. 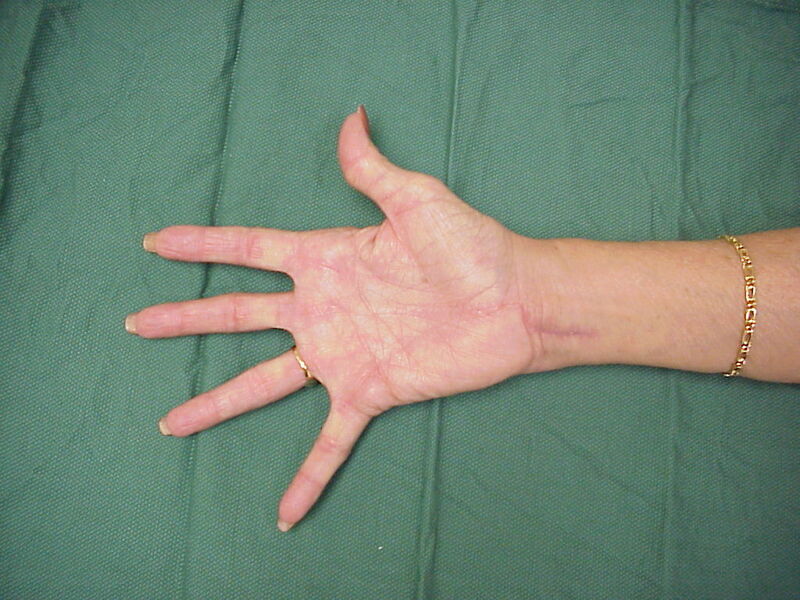 Rheumatologic evaluation was normal. 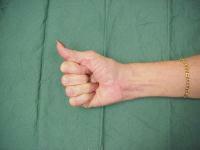 Several years later, she presented with anterior wrist fullness, with swelling, triggering and stiffness of all remaining digits. 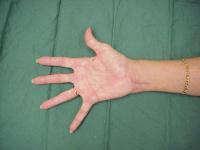 She had no carpal tunnel symptoms. 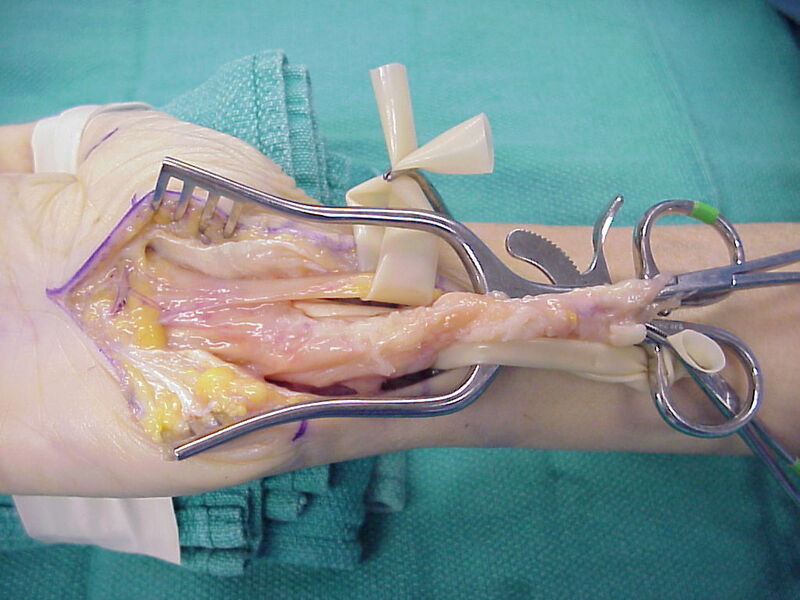 These incisions allow exposure of the flexor tendons, which may be delivered by traction to windows proximally and distally without disrupting the essential flexor tendon pulleys. 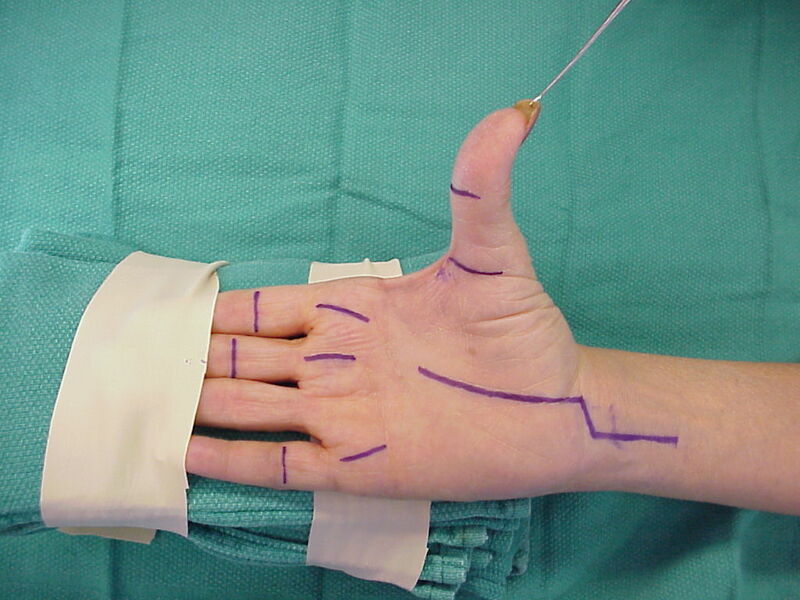 If needed, full open extensile exposure is still possible by connecting palmar incisions to a transverse distal palmar crease extension, or digital incisions to midlateral extensions. 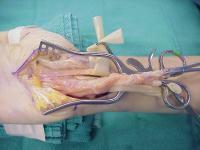 Synovitis was most extensive in the carpal tunnel. 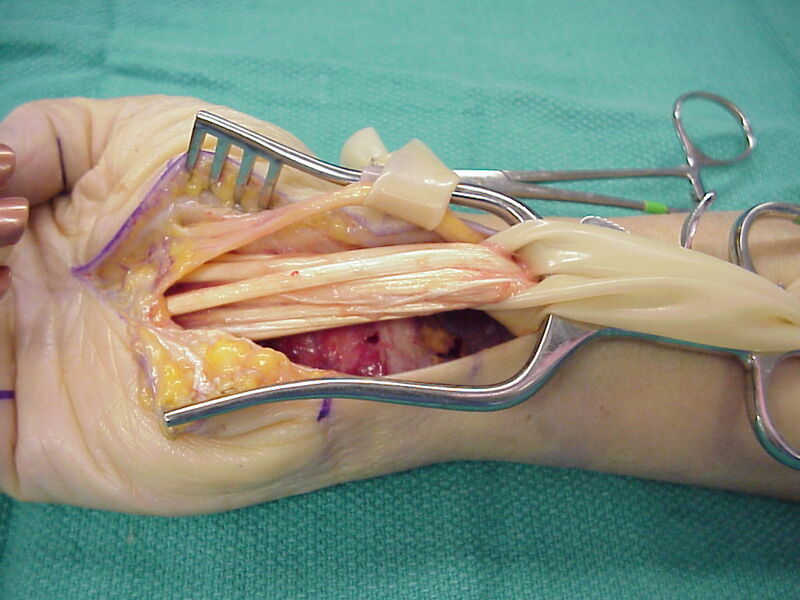 Flexor tendons and volar radiocarpal joints were involved. 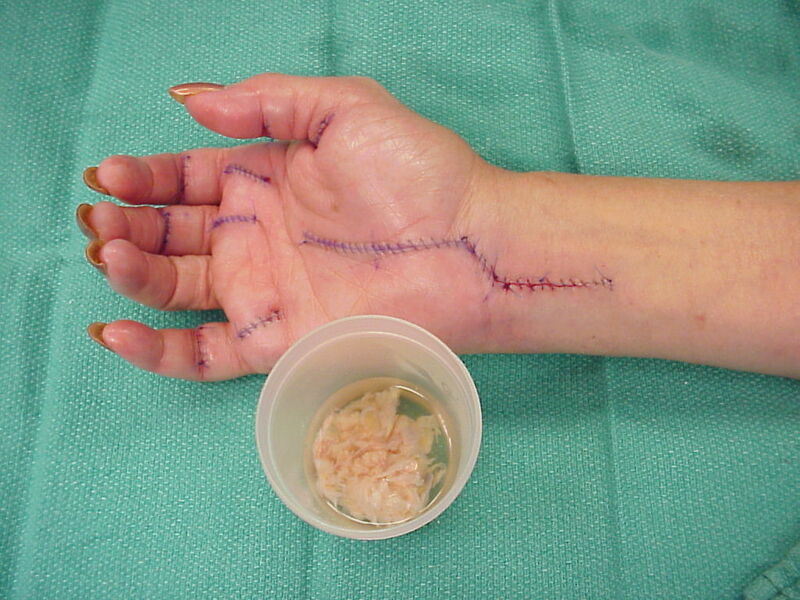 Additional extensile incisions were not necessary. Specimens were submitted for pathology, bacterial, fungal and mycobacterial studies. These were nondiagnostic. 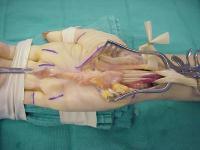 Three months after surgery, she has full range of motion of all fingers operated on at this last procedure.